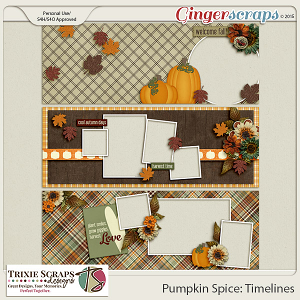 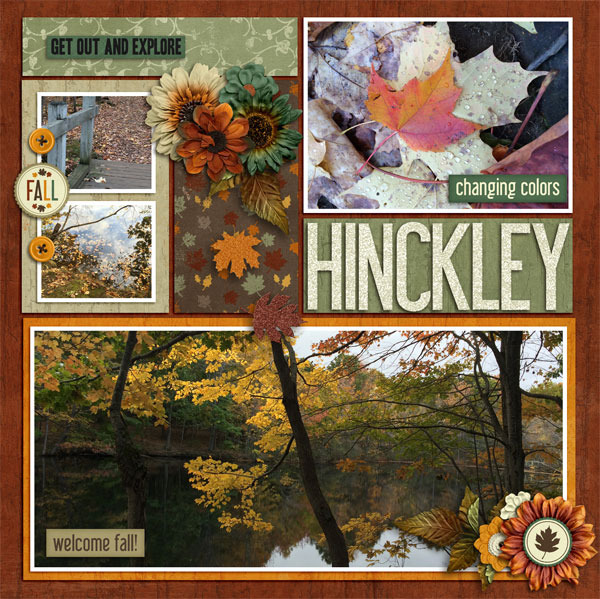 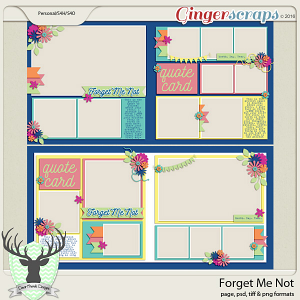 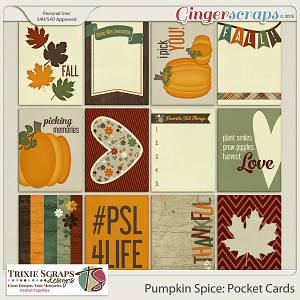 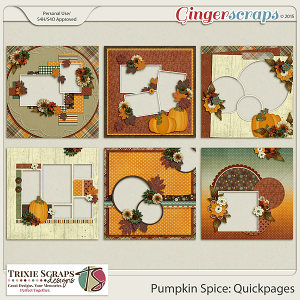 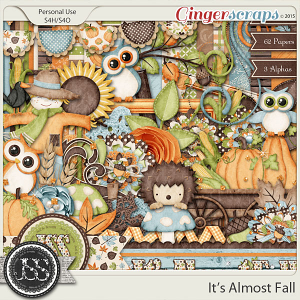 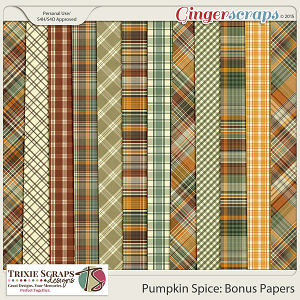 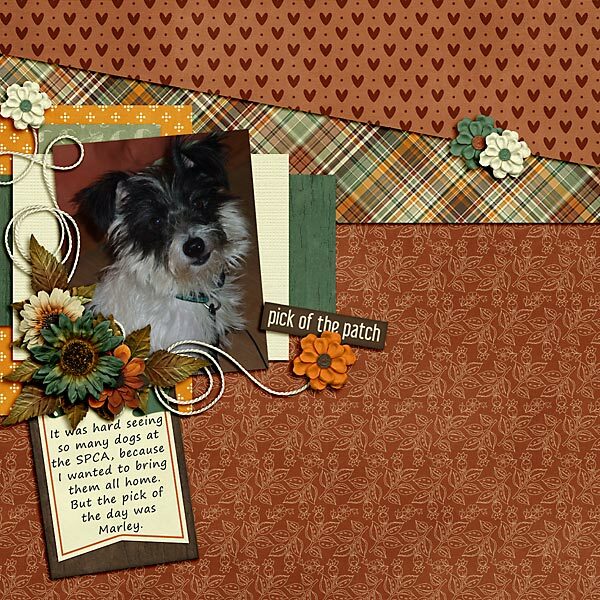 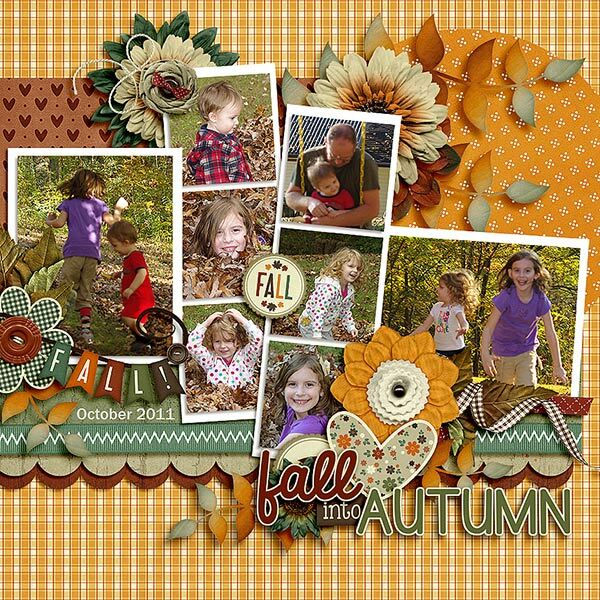 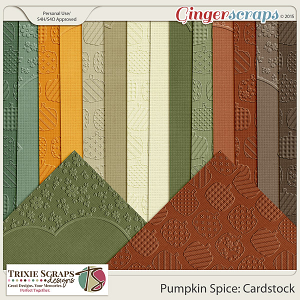 Tis the season for ALL things pumpkin spice, and with this pretty digital scrapbooking collection from Trixie Scraps Designs, you'll be able to capture all those warm, autumn moments! 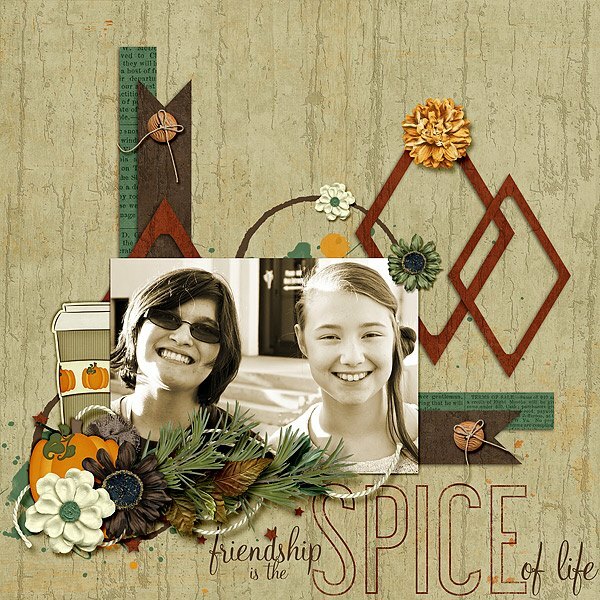 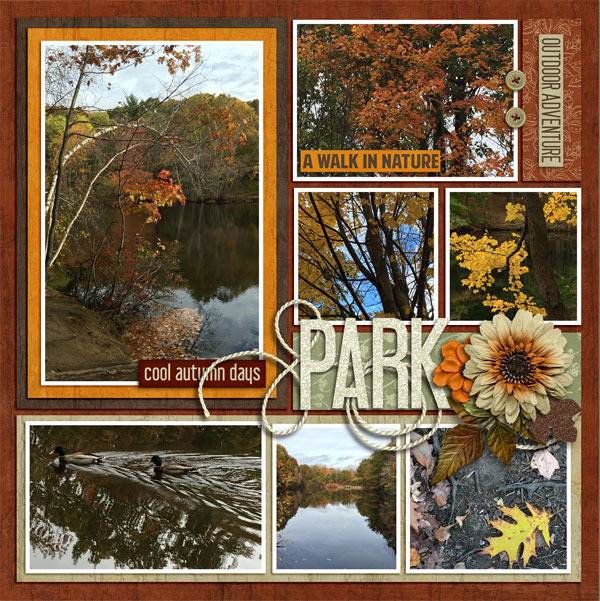 Whether you are documenting a romp through the fallen leaves or a coffee date with a friend, this collection has just what you need to create stunning scrapbook pages. 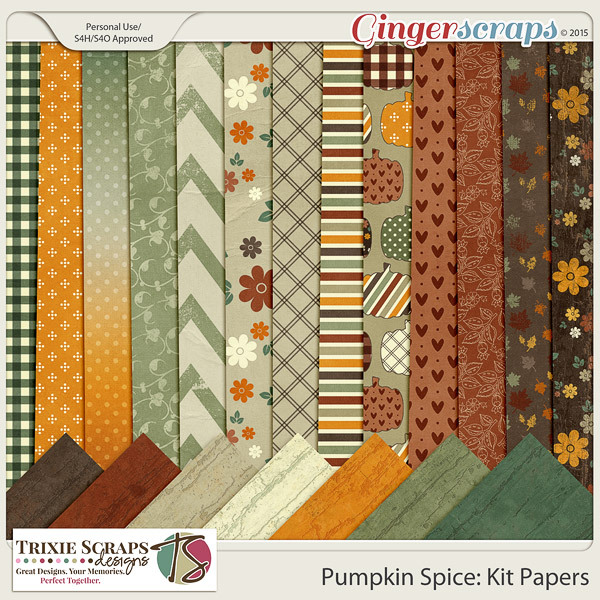 This full kit contains twenty 12x12 papers (13 patterns and 7 solids, all 300 dpi, JPG format), plus 59 elements and a full alpha (all 300dpi, PNG format). 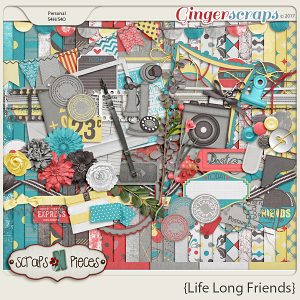 Approved for personal use, Scrap4Hire/Scrap4Others, too. 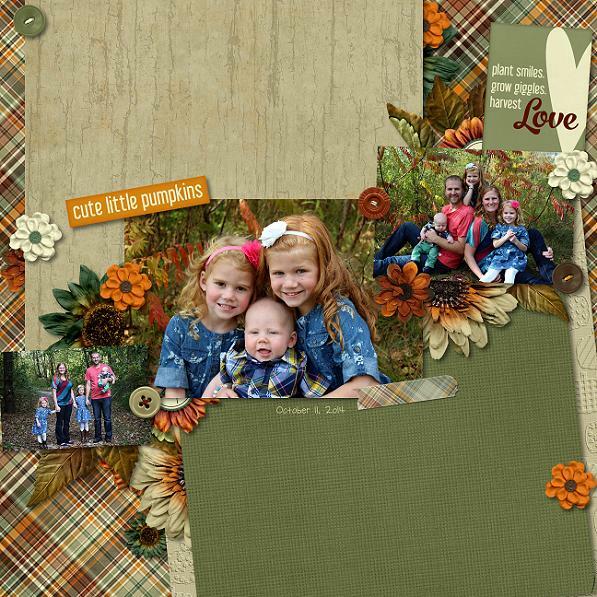 Make sure to check out the coordinating pieces from the whole collection! 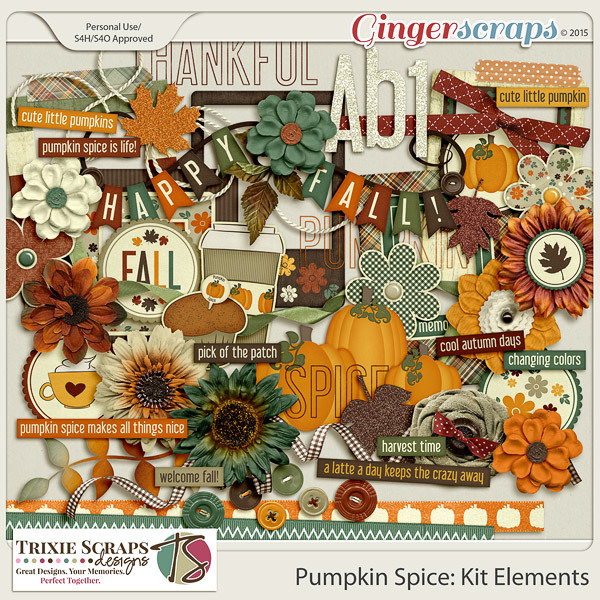 The elements included are: 1 fall banner, six buttons, 4 coasters, 1 coffee cup, 12 flowers in assorted styles, 5 unique frames, 3 glittered leaves, 1 silk foliage, 1 gradient chipboard foliage, 1 muffin, 3 unique pumpkins, 5 unique ribbons, 3 stamped words (pumpkin, spice, thankful), 1 curly string, 2 unique pieces of patterned washi tape, and 10 wordstrips. 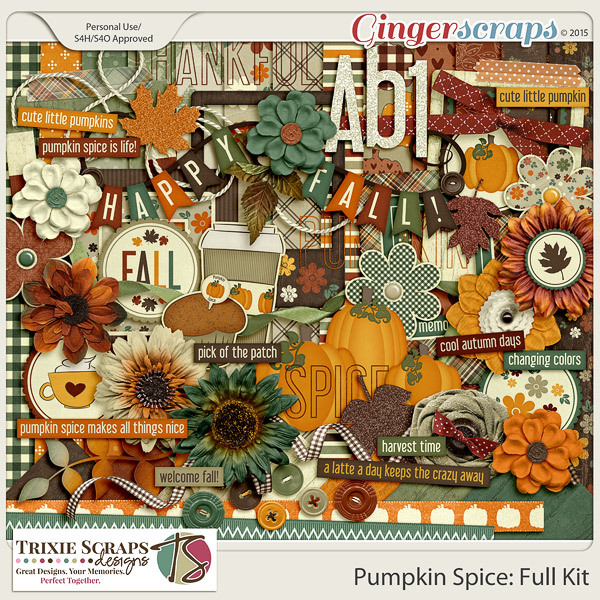 The full alpha set includes uppercase & lowercase letters, numbers and common punctuation, all offered as both individual characters and in alpha sheet format. 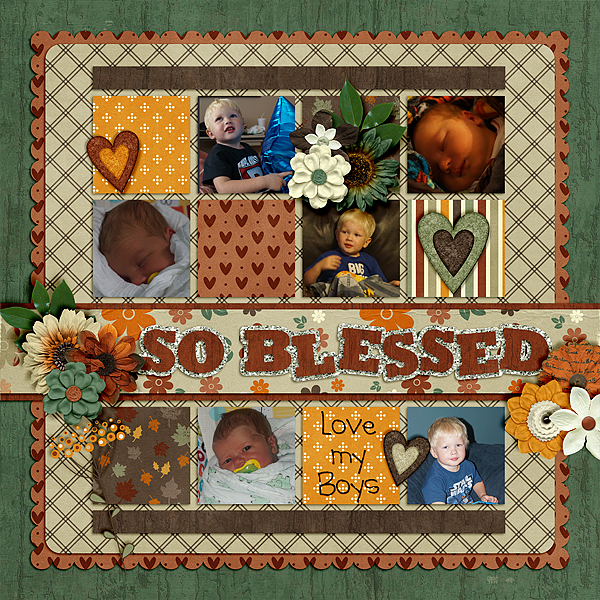 If you have a question or comment for me, it's easy to reach me! 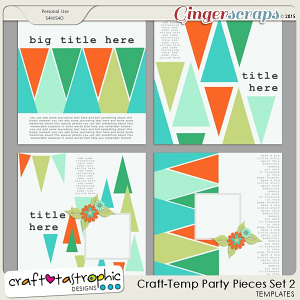 Template packs include layered PSD & TIF files; individual layers in PNG format; and PAGE file format for Creative Memories Storybook Creator software users. 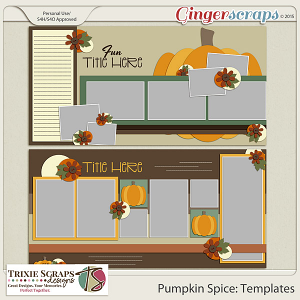 Templates are approved for limited Commercial Use by designers creating Quickpages for sale from their own kits. 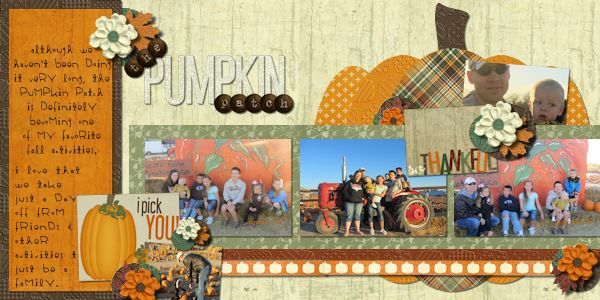 See the TOU for full details. 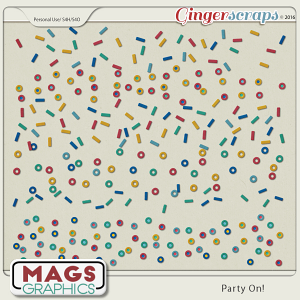 Drop shadows are for preview purposes only, unless otherwise noted.